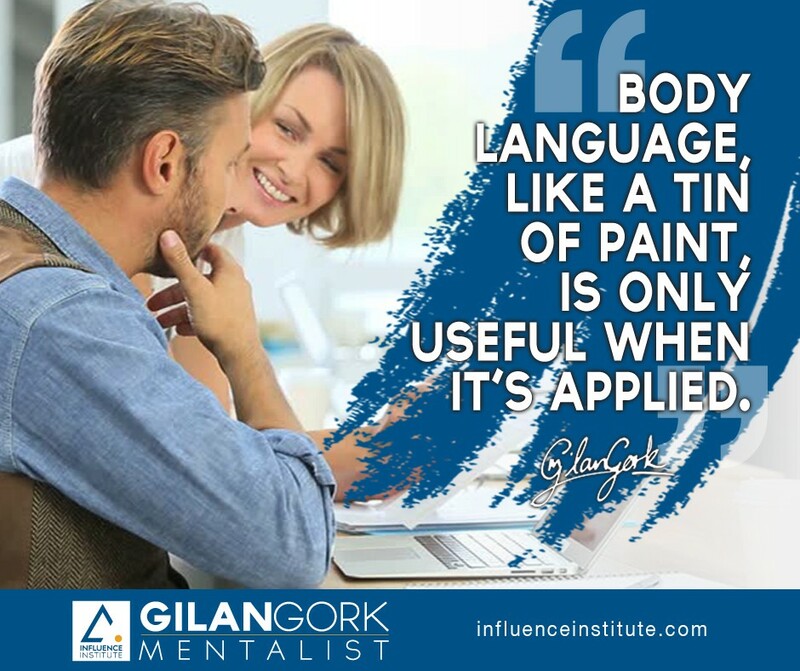 How is body language like a tin of paint? It may sound like an absurd question, but it really isn’t. In fact, I mention this question at the start of every session I give on the subject. Over the past twenty years, I must have asked this question to literally thousands of students in dozens of different countries. Here’s the answer: paint is only useful when it’s applied to something. For me, the same is true of body language and the study of non-verbal communication. I never teach these subjects in isolation. 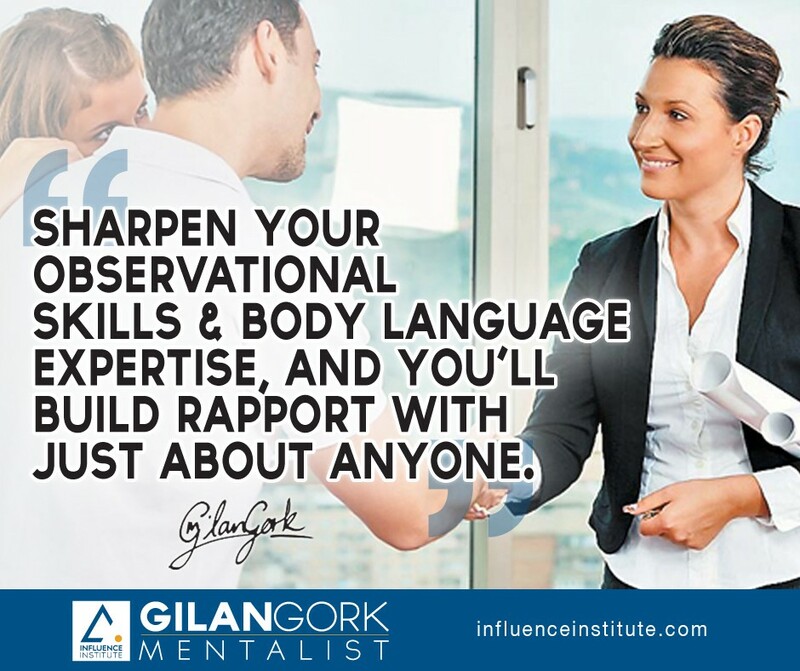 What I teach is how to apply a working knowledge of body language to real-life practical situations, especially to do with selling, negotiation, leadership, and so on. This is a crucial distinction. 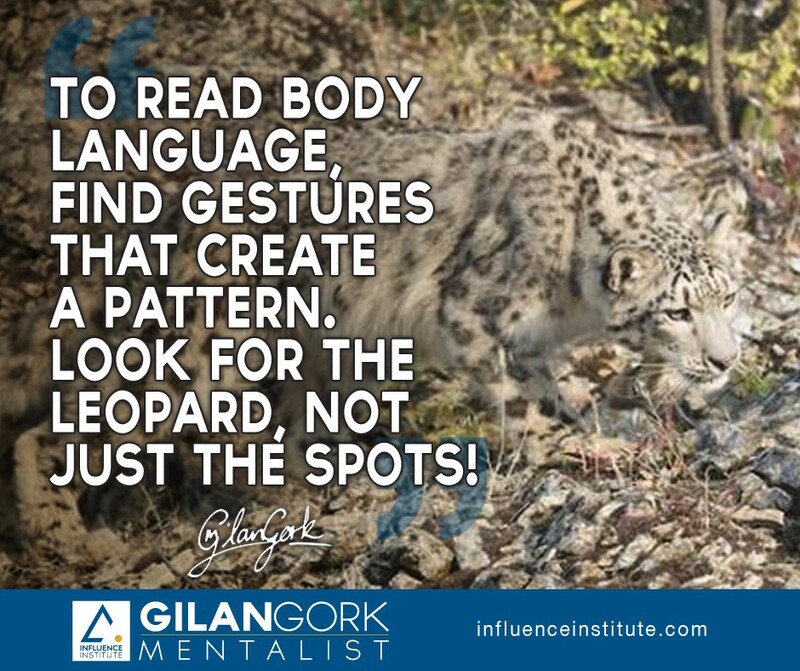 Anyone can flick through a book on body language. What’s far more useful is knowing how to apply the principles of non-verbal communication to real life. This is what I emphasise in my talks to sales professionals, executives and VIP guests all around the world. To see what I mean, consider this example. There are two possibilities here. The client may be telling the truth, in which case you’ll have to see if you can modify your bid — which could mean significantly reducing your price and your profit margin. Alternatively, this rival bid could be imaginary. The client might just be bluffing in an attempt to save some money. Although I’ve simplified the details, this scenario is drawn from real life. As it happens, the salesman in this case was one of my former students. Here’s the crucial part: he was 90% sure the client was bluffing, so he felt no need to lower his asking price (I’ll tell you how he knew in just a moment.) He stuck to his guns and was able to close the deal without having to trim his margin. This is just one example of how a working knowledge of body language, and how to apply it to real-life situations, can be tremendously useful. It’s why many leading professionals in direct sales, network marketing and multi-level marketing are studying this subject in such depth. When you’re selling, you want to know as much as you can about what your customer is thinking and feeling — and knowing how to read subtle non-verbal signals can make all the difference. One of the great joys of studying body language is the subtlety involved. For example, it’s rarely possible to make deductions based on a single action or gesture viewed in isolation. Context almost always matters, and we generally look for a coherent patterns of signals rather than judging them individually. We’re looking for the whole story, not just one part of it. As one of my students put it, we’re looking for the leopard, not just the spots! Let’s get back to the story of the client bluffing about a fictitious ‘rival’ bid. In this case, the salesman based his deduction on a pattern of ‘tells’ (involuntary revelations) that collectively suggested an attempt to deceive. There were actually several signals involved, but the most significant one was this: the client had started to blink much more rapidly than usual just before he mentioned the (imaginary) rival bid. In most contexts, when corroborated by other indicators, this increased frequency of blinking (compared to an established base rate) is a fairly clear sign that someone isn’t being entirely honest. The buyer was clearly startled, but also pleasantly intrigued. “How did you know I play the guitar?” he asked. The meeting was off to a flying start and my student had established good rapport within seconds. I’ll let you in on the secret. My student noticed that the buyer had long nails on his right hand and short nails on his left hand — an almost certain sign that someone plays classical guitar! You may have seen some of my ‘mindreading’ demonstrations on national television. To be honest, and without giving too much away, I don’t think it’s possible to actually read someone’s mind. However, micro-expressions and other barely perceptible clues often give away what someone is thinking. The material I teach on body language is based on over twenty years of practical study and experience. In this time, I’ve developed a highly systematic approach to both reading and influencing people. This isn’t just because I think influence is a fascinating subject. I had to develop this knowledge to survive professionally! For example, I present my persuasion and influence seminars to companies all over the world. This involves knowing not just how to read subconscious signals but also how these vary from one culture to another. These variations can be highly significant. A gesture that is seen as ‘aggressive’ in one country can mean ‘peace’ in another. Sharpening your observational skills, and developing your body language expertise, enables you to build rapport with just about anyone. It’s also a good way to develop greater command and presence in any meeting. Ask yourself why you wouldn’t want to learn these subtle yet effective techniques?